Want to win $50 in a giveaway? Hello Everyone! Pray that you all are doing great this awesome Tuesday! 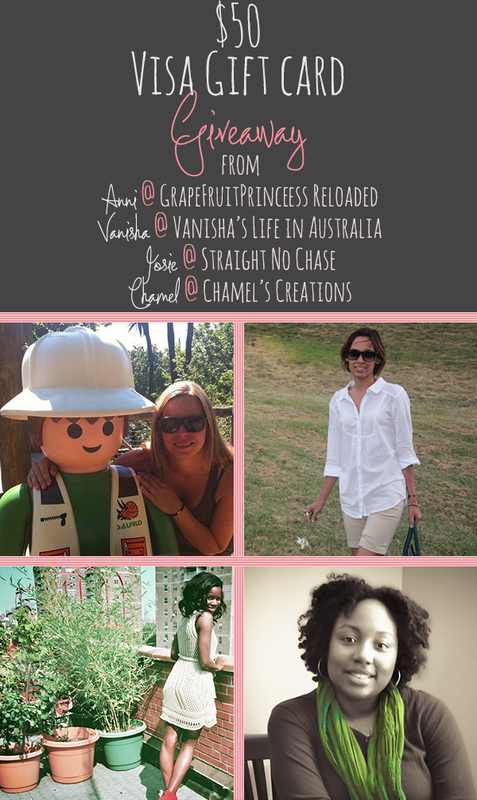 I wanted to share that I'm participating in a great giveaway with Rekita of Her & Nicole. She has an awesome lifestyle blog so please check her out and her sponsor giveaway below! What does $50 dollars and 4 beautiful ladies have in common? We are giving away $50 Visa Gift Card to a lucky winner! Warning: This giveaway is soooooo easy to enter, not a million entries to do. So don't miss your chance to win!